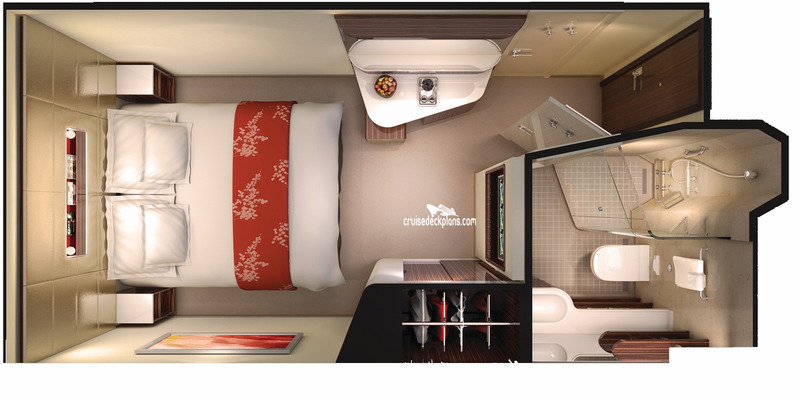 More Size Info: Interior cabins range from 129 to 151 square feet. Handicap inside cabins are 226 square feet. There are 449 of these types of cabins on this ship. The typical cabin size is 129 sqft (12 m2). These types of cabins can sleep up to 4 people. Interior cabins range from 129 to 151 square feet. Handicap inside cabins are 226 square feet.